Launched in 2012, FlightHub quickly rose to become one of North America’s most successful online travel agencies specializing in flights. Committed to selling the cheapest airline tickets in an increasingly competitive market. FlightHub proudly serves over one million Canadians each year, making it one of the best sites to plan, book, and manage all your travel plans. 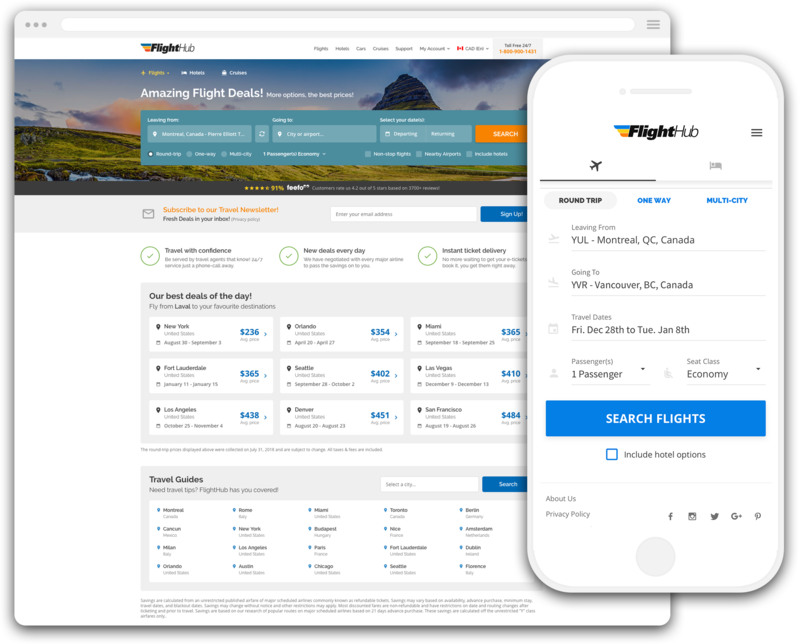 In 2014, JustFly was created to take on the US market, focused on offering the best flight itineraries and prices. 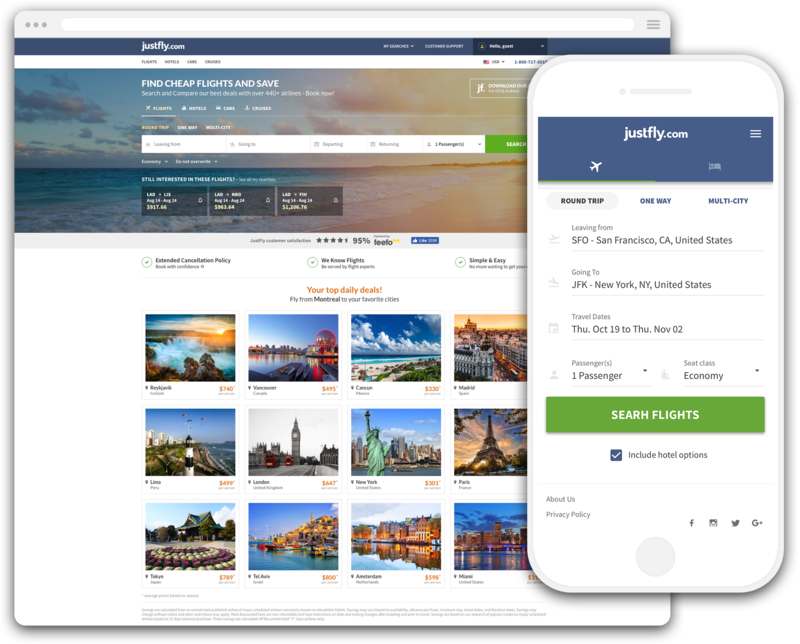 JustFly is second to none when it comes to issuing the best travel tickets while providing a user-friendly and efficient customer experience. Partnering with over 150 airlines, JustFly.com delivers incredible travel options at the best price possible.